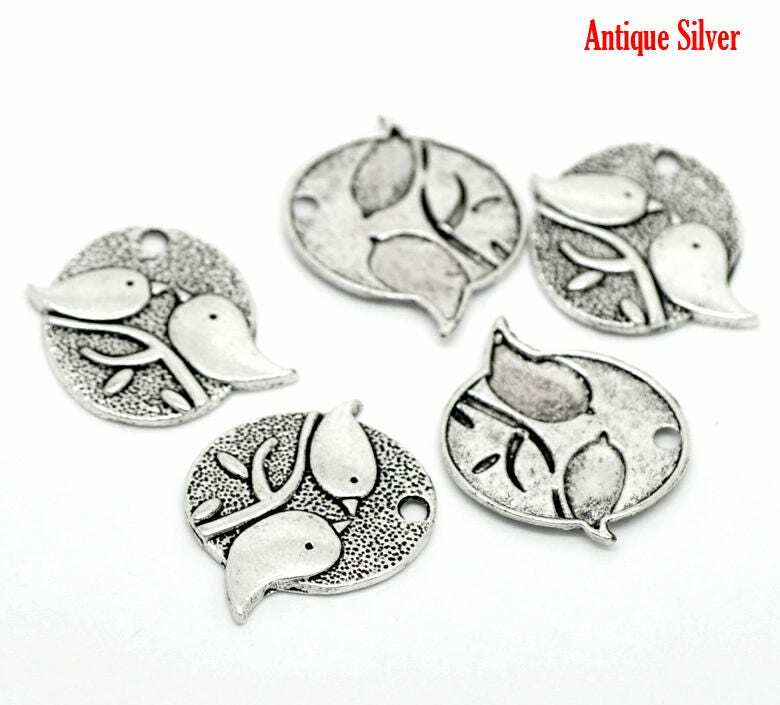 Pair of birds on a branch charms or pendants 29mm x 25mm, single sided. 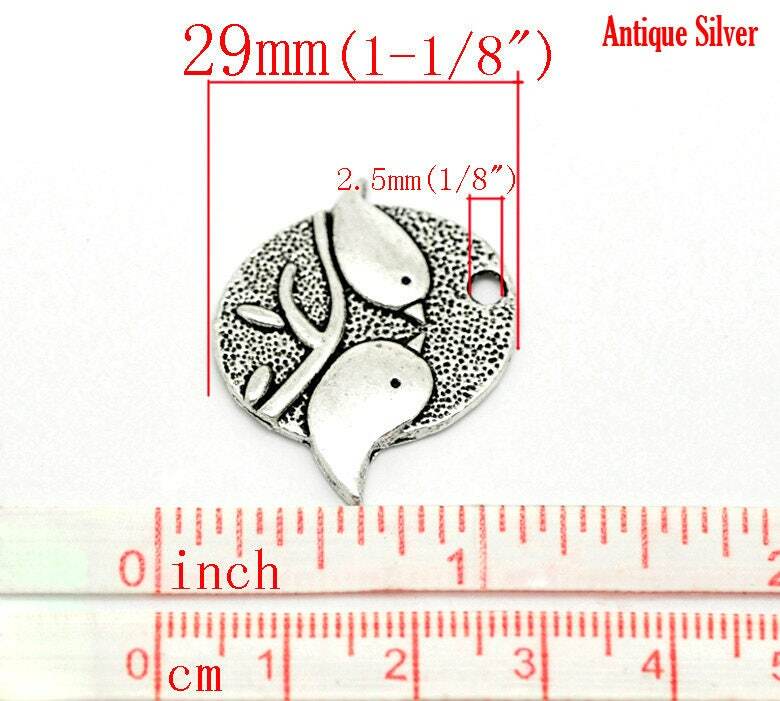 Perfect for earrings, necklaces, zipper pulls, bookmarks, key chains, stitch markers. 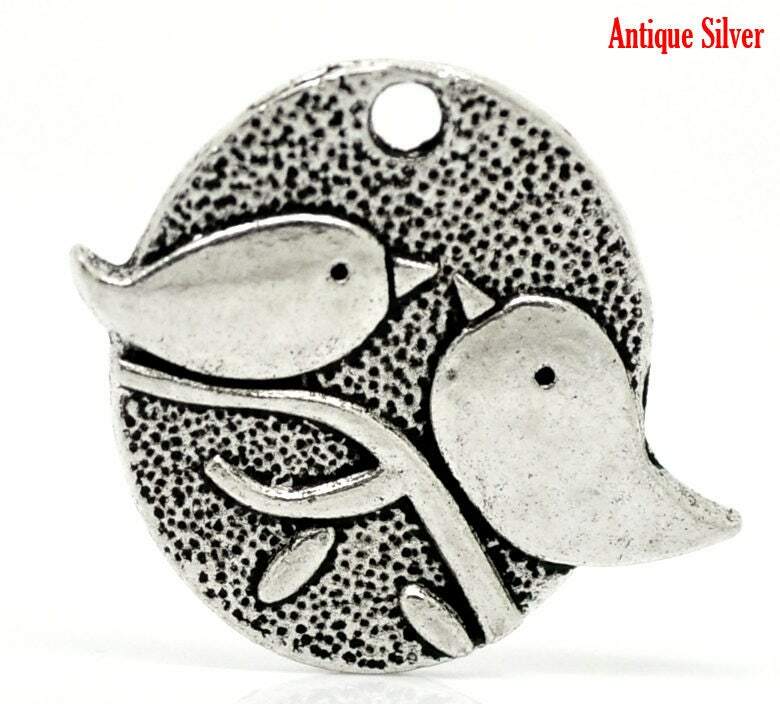 Zinc metal alloy, lead & nickel safe, cadmium safe. Choose either 2 charms or 4 charms.